The city could ultimately decide to relieve TxDOT of that burden and assume full responsibility for those portions. That decision could cost between $1.5 and $2 million annually for the first 10 years, according to a staff memo sent to City Council members in June. The memo characterizes those figures as a preliminary estimate. It also outlines the method of covering that extra cost. “The City would need to increase the Transportation User Fee approximately three to four percent, which translates to approximately a 30 to 40-cent monthly rate increase per single family home, to cover this annual maintenance cost increase,” according to the memo. The Transportation User Fee is an assessment all Austin Energy customers pay through their utility bills. City staff recently proposed increasing the TUF by approximately $1.75 per month for the average household in order to cover citywide maintenance issues. The tax increase from the bond package itself is expected to cost the owner of a home valued at $250,000 approximately $5 per month. 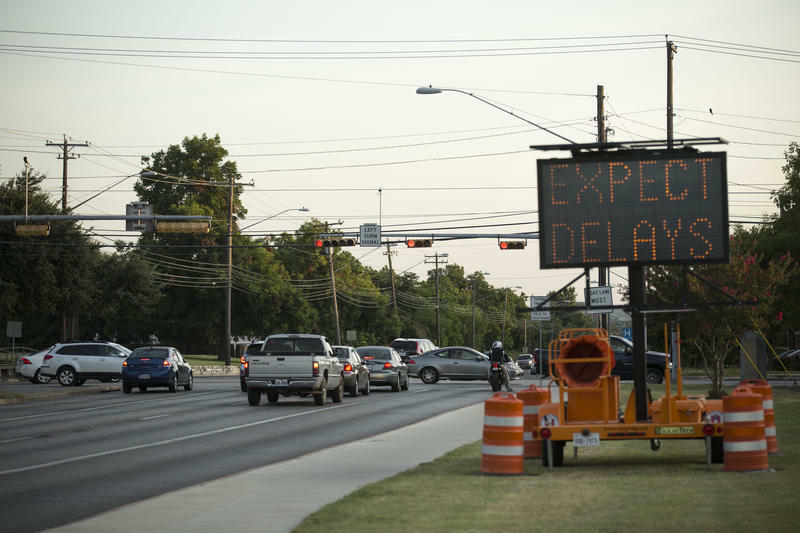 “To my understanding, taking over those roads isn’t a part of this bond package, and paying for this work along these roads wouldn’t necessarily obligate the city to take over the roads,” Jim Wick told theAustin Monitor on Sunday. Wick is the head of the political action committee Move Austin Forward, which is campaigning for the bonds. According to city staff, the decision about whether to ask TxDOT to turn control of the corridors over to the city has not yet been made. Sara Behunek, a spokeswoman for the Capital Planning Office, told theMonitor that staff will make those considerations after the election, if voters approve the bonds. 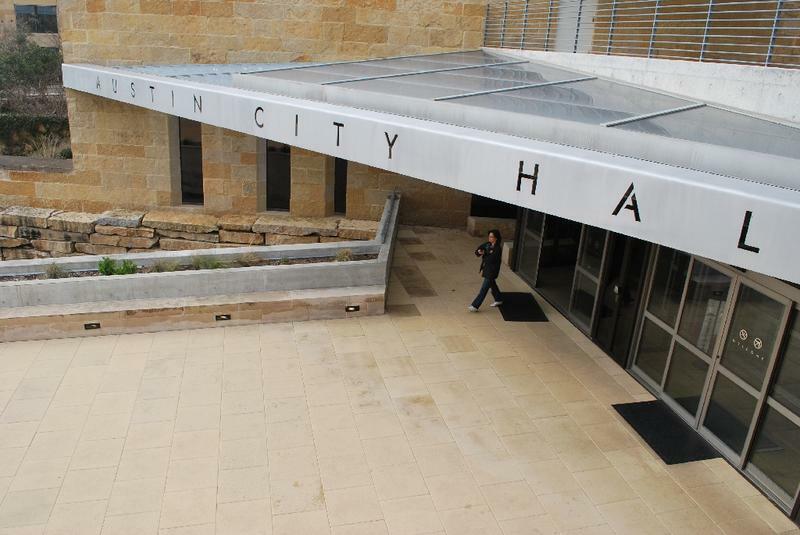 “How the bond-funded projects would be implemented on roadways currently owned by other entities if the bonds are approved would depend on the project, but the city of Austin would coordinate with the other entities to ensure funds are spent lawfully and meet the intent of the proposition,” Behunek said. In 2014, TxDOT instituted a new policy that allows cities to take responsibility for state-operated roads within their limits. An agency spokesperson told the Monitor that the bureaucratic process should not be expected to happen quickly. 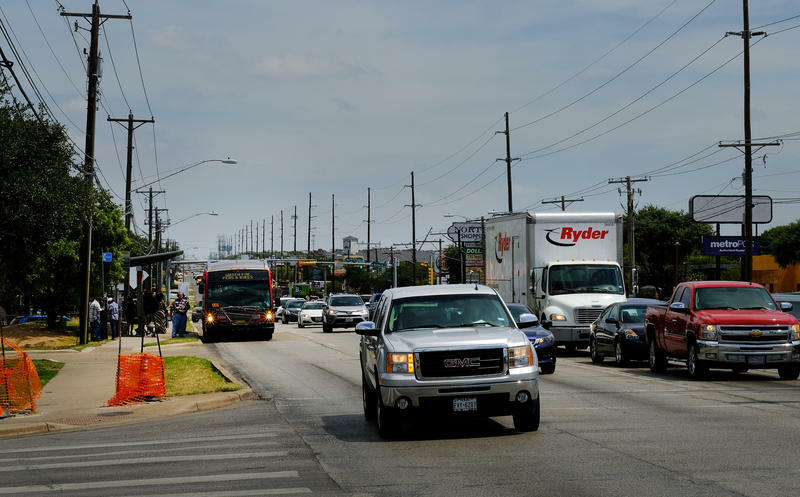 Mayor Steve Adler initially launched the so-called Smart Corridor proposal last spring after state Sen. Kirk Watson announced that the city would not need to use bond money to pay for planned projects on Interstate 35. Delivering TxDOT of the responsibility for maintaining the corridors in question could potentially serve as a bargaining chip in Watson’s ongoing interjurisdictional negotiations. “If it’s something that could happen and we could potentially leverage that investment, then I think it’s something that people would probably be interested in doing,” said Wick, who temporarily left a position in Adler’s office to head the Move Austin Forward PAC. The corridors that would receive the lion’s share of bond money spending have each undergone an extensive planning process, with one exception. 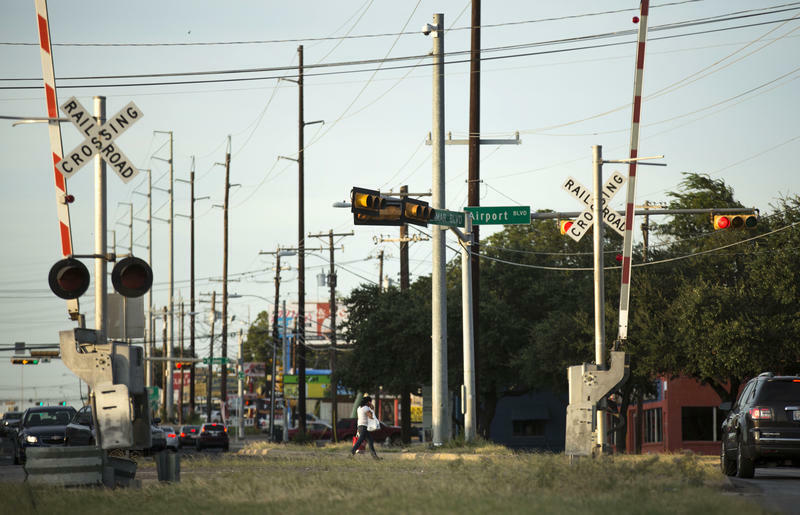 The Guadalupe Street corridor study, which focuses on that important arterial between Martin Luther King Jr. Boulevard and West 29th Street, is still ongoing. The city has exclusive control over that street, along with East Riverside Drive. The remaining five corridors – Airport Boulevard, FM 969, Burnet Road, far North Lamar Boulevard and South Lamar Boulevard – include close to 23 miles of TxDOT-operated stretches. The entire 10.9-mile breadth of FM 969’s corridor study from U.S. Highway 183 to the Village of Webberville is under state control. However, the June memo to Council asserts that the funding provided for in the bond would be spent only along the approximately 1.75-mile section from U.S. 183 to Decker Lane. TxDOT also maintains 3 miles of Airport Boulevard from Manor Road south to U.S. 183, 2.5 miles of Burnet Road from U.S. 183 north to MoPac Boulevard, and all 6 miles of the North Lamar Boulevard corridor. The agency operates only the final stretch of South Lamar Boulevard just before it is absorbed by U.S. Highway 290. The state’s hand in controlling those sections accounts for the drastic differences in appearance compared to those operated by the city. The state’s design guidelines, while evolving to include greater emphasis on multimodal uses, has long prioritized car throughput. Wider lanes, missing sidewalks and open drainage culverts typify the TxDOT-controlled sections. The corridor improvement plans would largely address those design features by adding sidewalks, bike lanes, drainage improvements and turn lanes created from narrowing travel lanes. Specific projects and spending amounts are also still undetermined. According to the June memo, extra staff will be hired for planning and implementation of the bond program spending. The memo does not provide an estimate on the number or cost of the new hires, but it does indicate that the bond money will pay for some of those positions, while others will be covered through the city’s operating budget. It’s official. Austin voters will decide on a $720 million transportation bond come November 8. Council members took a final vote on the ballot language this afternoon, after nearly two hours of discussion. The final count? Seven council members for, three abstaining, one hard no. What Would A $720 Million Transportation Bond Get Us? Members of the public have weighed in on Mayor Steve Adler’s $720 million transportation bond proposal, and Council members have taken the first two of three votes needed to officially put the bond on a November ballot. If voters approve the bond measure, it would mean an increase in property taxes of about $5 a month for the average homeowner in Austin. So, what would the bond buy, exactly? It's been two years since the Austin City Council was overhauled from 6 at-large council seats to 10 single member districts - plus the mayor. Now, 5 of those new seats are up for re-election. 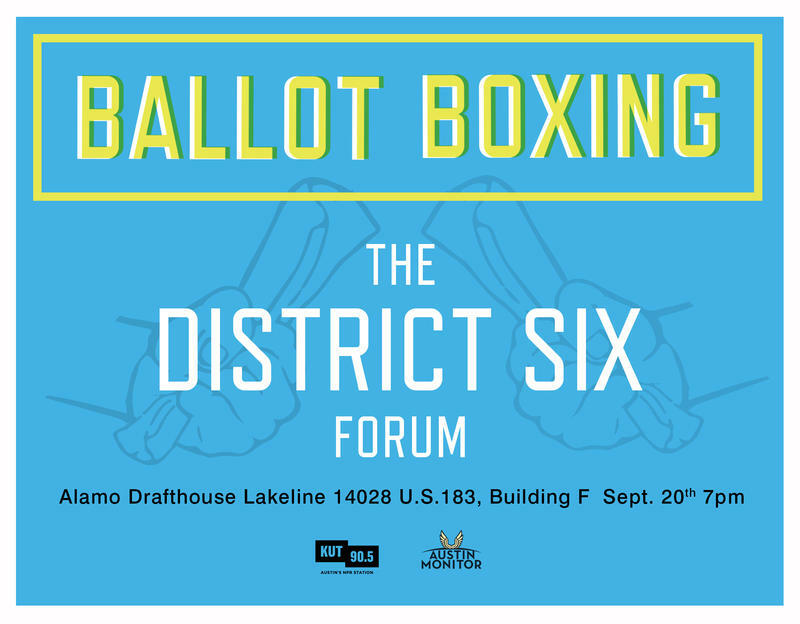 To help voters learn more about incumbents running for re-election – and those challenging to replace them – KUT News and the Austin Monitor have set up candidate forums in each of the districts up for grabs in November. Could the Mayor's 'Go Big' Bond Go Bigger? Mayor Steve Adler has christened a $720 million transportation bond the "Go Big Corridor Plan." So it begs the question, is this really that big? Seattle recently placed on a ballot a $54 billion transportation bond. But judging by other news reports, that number seems like an anomaly among municipal bond programs. Regardless, there's plenty to unpack when we discuss the "bigness" of this bond.